FNC Park is proud to have such an asset in the Oxford Orthopaedics Indoor Practice Facility. 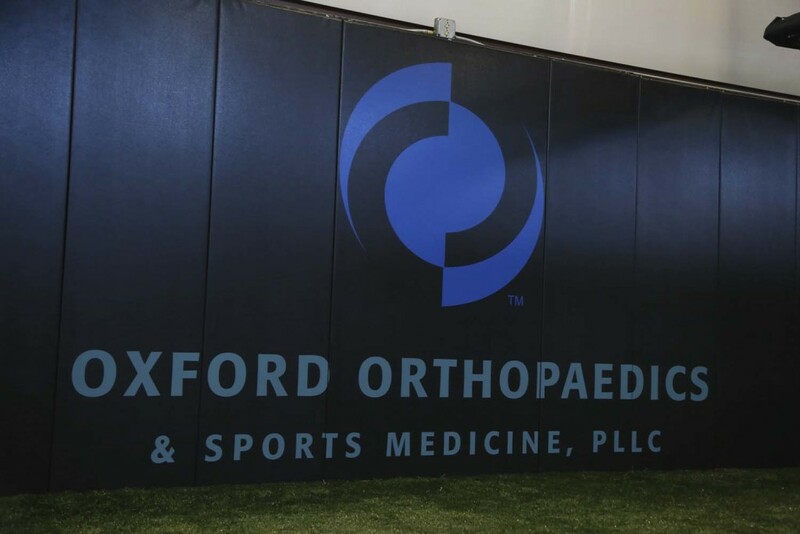 The Oxford Orthopaedic Indoor Practice Facility is a 7500 sq. ft. facility housing (6) retractable batting cages with synthetic turf. It also boasts an observation deck for parents and siblings to watch from above and a concession stand. The batting cages can be raised to the ceiling allowing for an open field type play for indoor soccer. The facility is also available for birthday party rentals. The Oxford Orthopaedic Indoor Practice Facility is open Monday-Thursday 4-8pm, Saturday 9am-12pm and Sunday 1-6pm. Birthday party inquiries can be made by filling out the form below. In 2017-18 FNC Park had over 1,100 teams participate in our various baseball and fast pitch tournaments.